Sadly, our Everglades experience did not reveal much fauna, only endless flora. The Everglades were overly saturated after endless rain. Our guide, Ossie, tried hard to find something but conditions were against this happening. 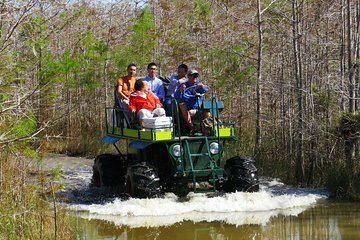 The buggy experience was interesting and it was great to actually be among the everglades.